To be certified or not to be certified organic; that is the question. In reality, this can be a difficult decision. There are compelling arguments for and against becoming a certified organic grower. Likewise, there are alternative options to the certified organic route, for example there is Certified Naturally Grown. Ultimately, this decision rests squarely on you, the grower. Your personal beliefs, customer base, financial plan, business strategy and the size of your operation all come into play when deciding if certified organic is for you or not. Not everyone is going to agree, and not everyone is going to make the same decision. That is OK. The easiest way to get started in deciding if you want to be certified organic is to educate yourself. 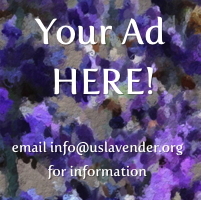 Talk with other USLGA growers, talk with your local lavender association, and browse the internet. Make sure you have enough facts to make an educated decision that is right for your business. To get you started, here are two introductory courses on USDA Organic. These introductory level courses provide a nice overview of the organic process and take about an hour to complete. Each course also contains additional resources for furthering your knowledge and personal education. USDA Organic 101 Organic 101 is a learning module that covers: what organic means, the USDA organic label, and the certification process. It's also available in PDF format. The USDA blog might be useful as well. USDA Organic 201 Organic 201 is a learning module that offers a review of Organic 101 and goes into details of the National Organic Program. It's also available in PDF format.